With The Big Game coming up, you might be wondering how to plan a party that scores big with your family and friends. No fear - our playbook is full and our game plan is set! 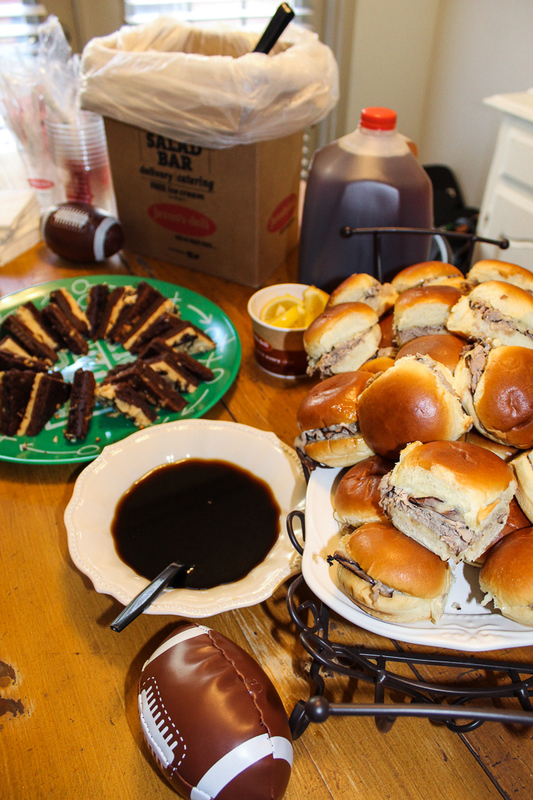 Check out these tips on how to have the perfect game day party. Make sure you have your TV(s) set up and ready to go beforehand. Run a quick test to make sure everything is in working order - you wouldn’t want everyone to sit down with their food in hand and have technical fouls. Plan your event in an area that has plenty of room for seating. You can even pull chairs from other rooms in your house or patio to accomodate all those football guests. You’ve gotta have something to spark festitivity; be sure to grab beads, foam fingers, penalty flags and any team decor you can find. Local supermarkets and party supply stores usually have sections specifically for The Big Game. We’ve said it before, and we’ll say it again - food can make or break a party. You don’t want to have your whole team ready to go at the scrimmage line and your quarterback drop the ball. That’s exactly what it’s like if your party food is “blah.” That’s why we suggest our Catering for Entertaining menu! Not only do we have delicious Beefeater Sliders that are perfect for those rowdy football guests, but we’ll deliver right to your door AND help you set up. It’s really a snap. Good luck to you and your favorite team as you head onto the playing field! We hope you have a great time, and remember, we’re always here to cover you during The Big Game.